S 2 is a popular model for private homes and professional use. Small size is ideal for offices and all private use where space is limited. Effectively directing air flow makes this model very effective for drying water accidents and wet constructions. S 2 is also effective and safe for melting frozen objects (for example water pipes) when used outdoors. 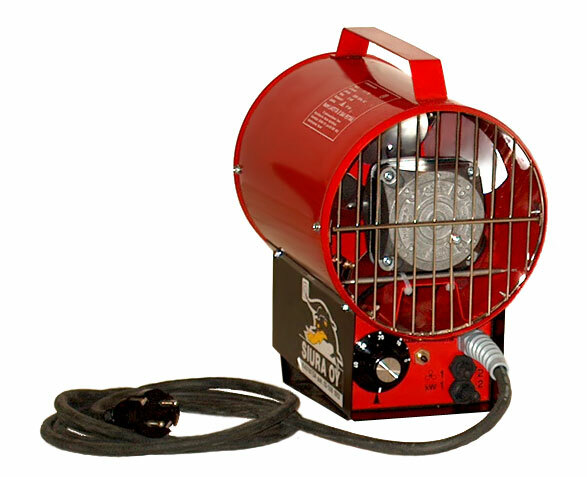 - outdoor use because of effectively directing and pointing air flow. - pointing on work spots and objects under work in big buildings when the whole space is not heated enough. On the picture is seen the massive heat elements and strong metal construction. Thermostat controller on the left and control switches on the right. Upper control switch: continuing air flow / air flow only when heat is on by the thermostat. Overheat controller button on the center. 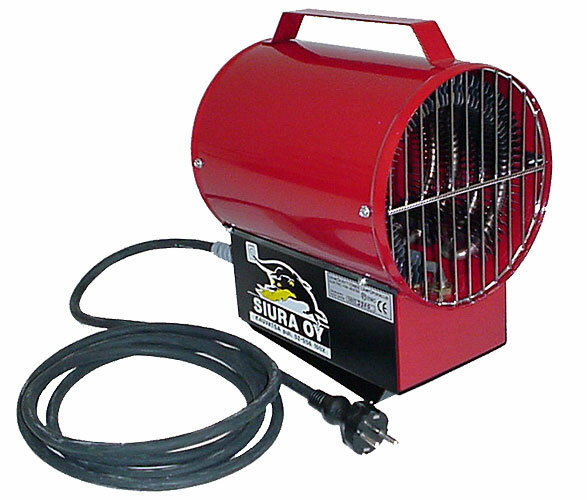 with continuing air flow the heater can be used as a fan also.